What do these people have in common? They are either one of more than 2 million people who successfully homesteaded in the United States from 1862-1986 or one of the estimated 93 million direct descendents of homesteaders. Over 4 million people tried to claim free government land under the Homestead Act of 1862; people of different backgrounds, genders, ethnicities and national origins. The Homestead Act affected nearly every aspect of life in America. Today there is only one national park dedicated to homesteading and it’s the only one with the unique suffix “of America” in its name - Homestead National Monument of America. What is your connection to homesteading’s legacy? When people think of homesteading, they usually think of the 1800s. So it’s a surprise to learn that the Homestead Law was active till 1988 when Ronald Reagan was president. 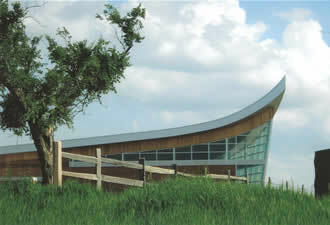 You will discover even more at the new world-class Homestead Heritage Center and the National Museum of Homesteading. You can enjoy the award winning film, Land of Dreams: Homesteading America or explore this epic story through interactive exhibits, computer programs, historic objects, and unique photographs. Get a glimpse of what life was like on a homestead at the Palmer-Epard cabin. The surprises don’t stop there as you take a look at homesteading in all 30 of our nation’s Homesteading states, from Florida to Alaska, California to Michigan and more. In all, 270 million acres – some 10 percent of the United States – was settled by citizens of the world, in pursuit of the American Dream, through the Homestead Act. 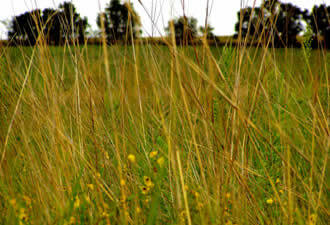 Beyond the Heritage Center, experience what many homesteaders encountered when they first arrived on the tallgrass prairie. By walking the park’s trails you will find former cabin sites and visit the site that a squatter once inhabited. You can travel through a forest now rare in Nebraska and watch for wildlife. At the Homestead Education Center, examine a collection of historic farm implements. How many can you identify? At the education center see special traveling exhibitions such as Landmarks in a Sea of Grass: Grain Elevators and the American Landscape. If you are a teacher and your class cannot travel to the monument, National Park Rangers can come to you through real-time distance learning technology. See this modern technology juxtaposed with the educational practices of the past at the Freeman School. Here you can sit in a school desk at the site of a major court battle that challenged the separation of church and state over the reading of the Bible. 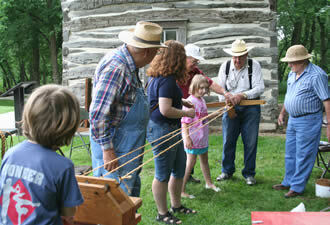 Throughout the year Homestead National Monument of America hosts many special programs and events. You are invited to participate in any of the park’s upcoming programs. If you are a fiddler, don’t forget to bring your fiddle for the upcoming Monumental Fiddling Championships, May 29, 2010, and of course if you’re not yet ready to compete, you are welcome to join in the fun by watching and tapping your toes! Plan your visit to Homestead National Monument of America and stake your claim to a fascinating time in our nation’s history.